Argentine Tango is a journey into a sensuous world. For us it is not only a dance but a way of life and form of cultural expression. 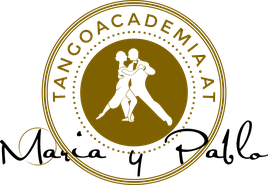 The Argentine Tango Academy and our new tango studio in Vienna – the Tangoloft – offer the perfect framework within which to experience this way of life. Courses for beginners, intermediate and advanced tango dancers, as well as workshops, private lessons, prácticas and milongas take place in our studio’s wonderful atmosphere. Moreover, in 2015 we started organizing tango holidays.